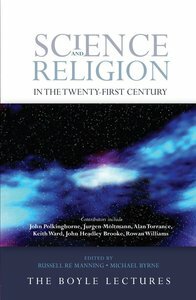 Despite the upsurge in public interest in science-and-religion provoked by the so-called "new atheist" attacks on religion, there has been surprisingly little publically accessible informed discussion of the central issues at stake in contemporary work at the interface of science and religion. This book fills this gap by providing a snapshot of what is really at stake in contemporary interactions and debates between scientists and theologians. What the collection shows, above all, is the vibrant complexity of discussions in science-and-religion. Old models of conflict between the two disciplines no longer hold; but neither do the alternative comprehensive models of independence, dialogue or integration. What emerges instead is a complex set of relations between science and religion in the twenty-first century. Contributors include Keith Ward, Jurgen Moltmann, John Hedley Brooke, Celia Deane-Drummond and John Polkinghorne. About "Science and Religion in the Twenty-First Century"
Michael Byrne graduated from The University of California, Berkeley, with a degree in Architecture, and from the University of Arizona with a Master's in City Planning.